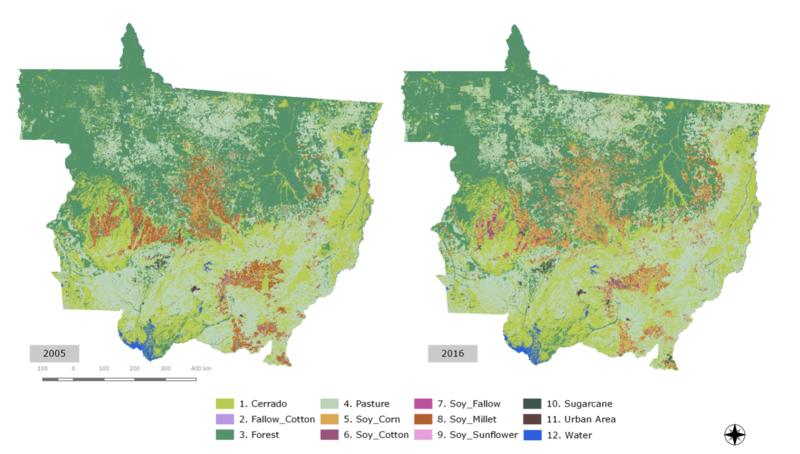 The e-sensing project develops new ways to extract information on land use and land cover change from big Earth Observation data sets, using open Science. 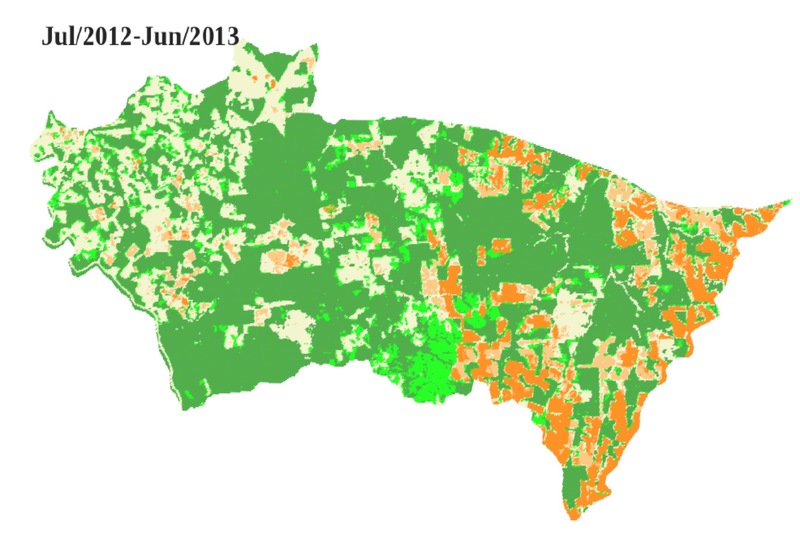 Our project is building a new generation of knowledge platforms for handling big geospatial data. The "e-sensing" project has been supported by FAPESP (grant 2014/08398-6), under the "e-science" program for the period 2015-2019. For more information, please see the project overview, the project proposal, or the project presentation. 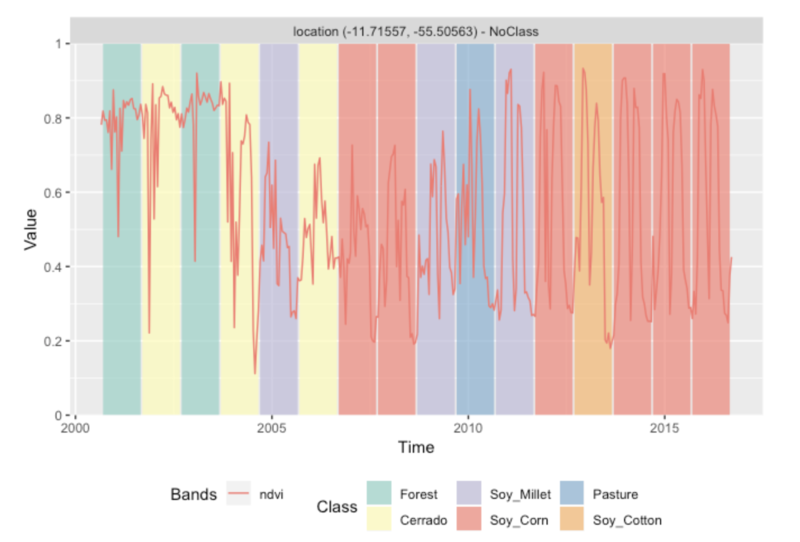 New version of the SITS (satellite image time series) R package supports for SOM clustering and bayesian post_classification..."
We published a paper describing the R package for time-weigthed dynamic time warping..."
The e-sensing team produced a new LUCC for the Mato Grosso state in Brazil from 2001 to 2016..."
We published a paper describing a new method for satellite image time series analysis in IEEE JSTARS..."